Ever since its opening last March, Imperial Lamian has been on my long (looooong!) list of restaurants to try. I spent months drooling over the highly Instagrammable baskets of rainbow xiao long bao and shedding a few tears of envy over photo after photo of steamy lamian. After feeling I was losing some major cred by being the last food blogger in the city to visit the first U.S. location of this Indonesian import, I finally(!!) 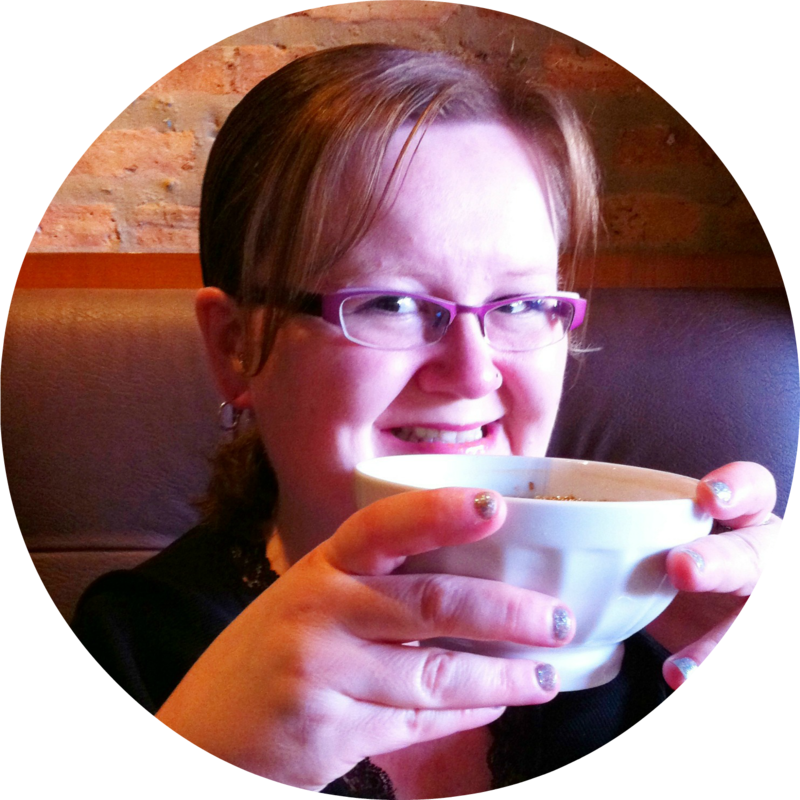 made my way down to River North with Diana to indulge in a leisurely lunch filled with rainbow dumplings, noodles, and more. Imperial Lamian features modern Chinese cuisine with dishes prepared by three Master Chefs... yes, three chefs! Chef Kok Lam Andy Foo, Chef Lim Kee Tiong, Chef Wang Hong Jun are each trained in their individual crafts (wok/plated offerings, dim sum and xiao long bao, and lamian respectively); the three work together to create a large array of authentic Chinese dishes. During our lunch, Diana and I had the chance to chat with Imperian Lamian's CEO Vincent Lawrence and he explained that each of the chefs has honed their individual techniques for a number of years in kitchens around the world. Before we even glanced at the menu, Diana and I spent some time exploring the restaurant space and ogling the beautiful details. 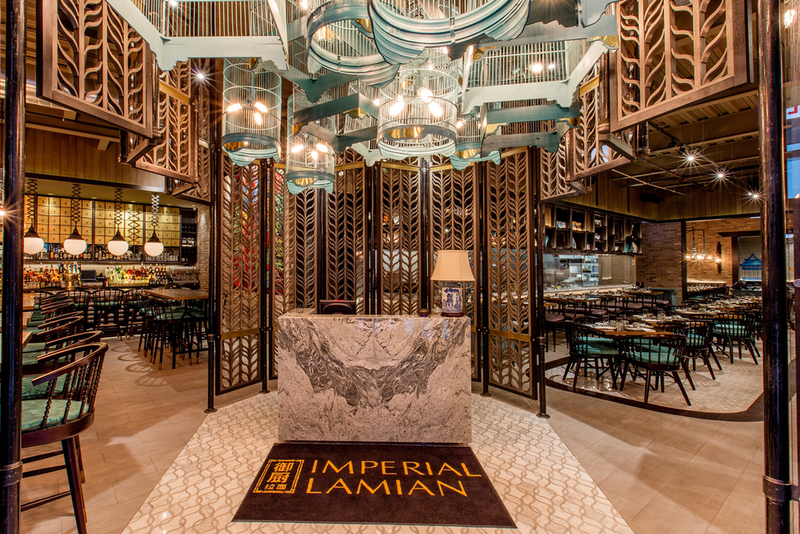 Imperial Lamian has a very modern-meets-Chinese-traditional vibe, which definitely fits into the aesthetic of River North, as well as sets it apart from the plethora of other Chinese restaurants in the city. As you know by now, I love an open kitchen! It's especially cool at Imperial Lamian because you can watch Chef Wang Jun hand-pulling the lamian; it's a fascinating process that involves a lot slamming of the dough on the counter and weaving of noodles through his hands. We kicked off our meal with the Instafamous* rainbow basket of Xiao Long Bao (soup dumplings): Shanghai (natural), spicy Szechuan (red), gruyere (yellow), crab (orange), truffle (black), and duck (green). I know there's quite a bit of debate on the consistency of dumpling skins and who makes the perfect dumpling; I'm not going to pretend to be an expert on dumplings, but I will say these were damn good! While we enjoyed all of the flavors, we particularly loved the crab, gruyere, and spicy Szechuan options. *When the restaurant first opened, they only offered diners the option to order single flavor baskets, but after the special order rainbow basket gained major popularity (all thanks to foodie Instagrammers! ), they added it the regular menu. We then moved on to the beautifully presented Zhao Ji: Shanghai pork dumplings with chives and a rice crisp. The dumplings are steamed and then finished off in a pan with rice flour batter, which is used to form the intricate lace-like pattern. Not only was this a lovely dish, but it was also absolutely delicious; the dumplings were juicy and flavorful, and the rice crisp provided a satisfying crunch. Next came the Crispy Duck Salad with shallots, pomegranate, and a hoisin truffle dressing. We both greatly enjoyed the sweet, pungent dressing (hoisin and truffle is a winning combination!) and the sharp pop from the pomegranate seeds. Be forewarned: this is not a simple, light salad! They are definitely heavy-handed with the duck, so plan to split this salad or order it as an entrée. We paired our salad with bowls of steaming Hot & Sour Soup: pork broth, tofu, egg, mushroom, and black vinegar. Diana and I both agreed that this full-bodied soup was some of the best we've ever had (I finished the entire bowl, which is a minor miracle, as I usually only heavily consume soup when I'm sick). For our entrées, we decided to split two dishes heavily recommended by CEO Vincent Lawrence; we started with the Wok-Seared Salmon with a scallion ginger consommé and crispy leeks. Surprisingly, this dish was super light and sans the heavy sauces that typically accompany fish dishes at numerous Chinese restaurants in America. We took our salmon with a side of Green Beans with minced pork and Chinese olives. Holy addictive garlicky, meaty green beans! You may be tempted to skip over this side dish, but trust me, it's a must-order. Finally, we sampled one of the restaurant's most popular dishes, the Tiger Shrimp Fried Lamian: hand-pulled noodles wok fried with mixed peppers, bean sprouts, and soy sauce. The Chinese version of ramen, lamian is incredibly tasty, as the noodles are springy and fresh. Also, don't forget that each order ensures a show, as the noodles are made to order. Although we were completely stuffed, we had to sample the highly recommended Jian Dui: fried rice dough filled with sweet lotus paste and covered in sesame seeds. I'm so glad we made room for dessert because these sweet, chewy, nutty balls were amazing; in fact, I loved them so much that they've earned a spot on my favorite foods of 2016 round-up! Needless to say (but I'm still going to say it anyway! ), we both greatly enjoyed our meal at Imperial Lamian. While there have been some grumbles about the price point, we found the lunch menu to be in line with other restaurants of the same quality in River North. I am officially obsessed with their take on authentic Chinese flavors and can't wait to get back over there to try their dinner and brunch options! You can try all of this deliciousness and more at Imperial Lamian: 6 W. Hubbard St., Chicago, IL. These photos are beautiful Starr -- I just love Imperial Lamian! Miss you so much!